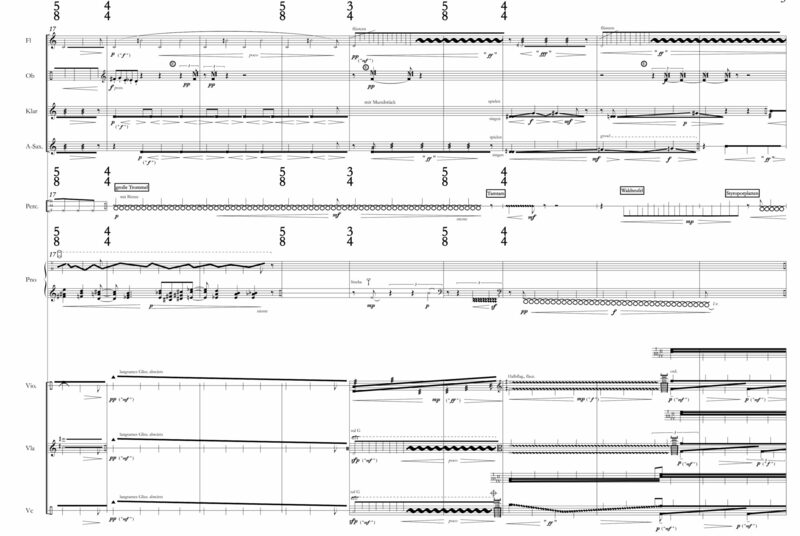 Scores and Performance Material can be ordered from the Edition Juliane Klein. Audio samples are either linked or can be found under the piece description below. ULRICH KREPPEIN (Ph.D) was born in 1979 and started his musical education already in his childhood studying Piano, Violoncello, Churchorgan as well as Composition in Schorndorf (Germany, Baden Württemberg) where he grew up. After finishing high school, he studied at Robert Schumann Music University (Musikhochschule) in Düsseldorf: Composition with Prof. Manfred Trojahn, Piano with Prof. Thomas Leander as well as Musicology with Prof. Andreas Ballstaedt. After further studying Composition with Prof. Tristan Murail at Columbia University in New York during 2003-2004, he completed his Diploma in Düsseldorf in January 2005. In 2006 he began his doctoral studies at Harvard University in Cambridge, MA, and completed his Ph.D in composition in May 2011. At Harvard he worked with Julian Anderson, Brian Ferneyhough, Chaya Czernowin, Hans Tutschku, Joshua Fineberg and Helmut Lachenmann. Since his early ages, Ulrich Kreppein was awarded several prizes such as “Bundeswettbewerb Jugend komponiert” (National Competition for Young Composers) in 1998 and 1999 and the Andreas Werckmeisterpreis of the City of Halberstadt for an orchestral composition. More recently he received the “Saarbrücker Komponistenwerkstatt” (Composers Workshop Saarbrücken) in 2001 and a third prize at the “Musica Sacra Competition” in Poland in 2005. In 2008 he was selected as a finalist for the International Tactus Competition in Mons, Belgium. Ulrich Kreppein received commissions by the ROC-GmbH Berlin, the Callithumpian Consort in Boston, the Britten Sinfonia in Cambridge and the SWR Stuttgart amoung others. From 2002 to 2005, he received a scholarship from the “Studienstiftung des Deutschen Volkes” (German National Merit Foundation) as well as a fellowship from the DAAD (German Academic Exchange Service) in 2003/04, he participated at the summer courses of Acanthes in 2008 and was a presidential Fellow at Harvard University from 2006 to 2011. In 2009 he was awarded at the SWR Orchestra Workshop in Stuttgart, Germany, and was a finalist at the international Isang Yun Competition, Seoul, South Korea. Furthermore he received a scholarship by the Academy for Contemporary Music Theatre of the Deutsche Bank Foundation from 2009 – 2011. Ulrich Kreppein was awarded with the jury and the audience price at the Heidelberger Frühling 2012. He received a scholarship from the Academy of Fine Arts Berlin for 2011. Also he was selected for a residency grant at the Künstlerhof Schreyahn for spring 2012. 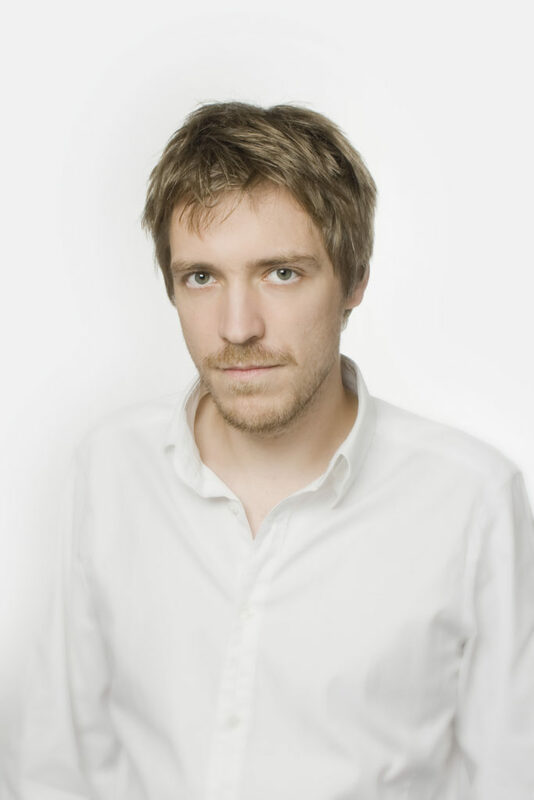 Ulrich Kreppein is the winner of the composers’ prize of the Ernst von Siemens Music Foundation in 2012. In the same year his opera “Die Versuchung des heiligen Antonius” (the temptation of St. Anthony) premiered at the Staatstheater Oldenburg. In 2013 he received the first prize at the Alexander Zemlinsky Competition of the University of Cincinnati in 2017 he was awarded a Scholarship by the German Gouvernment for a stay at the Cité des Arts in Paris, France. His music has been performed in many places such as the Berliner Philharmonie and the Carnegie Hall in New York, as well as in Moscow, Düsseldorf, Stuttgart, Brussels, Paris, Munich, Seoul, London and Cambridge, Massachusetts. His works include orchestra, operas as well as chamber music. Ulrich Kreppein teaches composition and music theory at the Liszt University of Music (Hochschule für Musik) in Weimar.